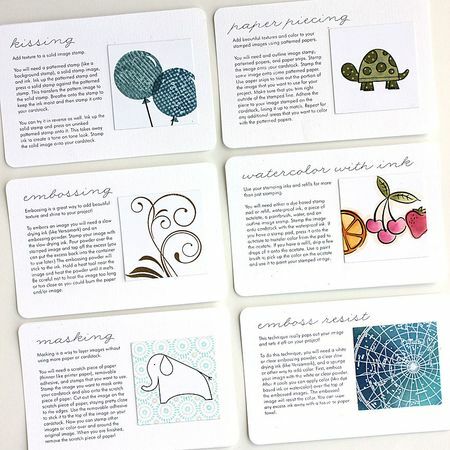 Have you ever gone to a class, watched a tutorial video online or just played around and tried a new stamping technique and wondered “How am I going to remember how to do this?” Heather Nichols has a great solution, keep track of all your techniques on small cards inside a stamping tips notebook. This handy book will be there when you can’t remember a technique or when you’re stuck for ideas. Click here to visit her blog Pine is Here, she’s got 3 technique cards for you to download and add your own stamping to it.